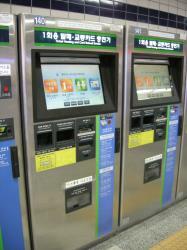 What is the cheapest way to get from Chungmuro Station to Ewha Womans University Station? The cheapest way to get from Chungmuro Station to Ewha Womans University Station is to line 5 subway which costs ₩1,250 - ₩1,400 and takes 34m. What is the fastest way to get from Chungmuro Station to Ewha Womans University Station? The quickest way to get from Chungmuro Station to Ewha Womans University Station is to taxi which costs ₩7,500 - ₩9,500 and takes 4m. How far is it from Chungmuro Station to Ewha Womans University Station? The distance between Chungmuro Station and Ewha Womans University Station is 4 km. How do I travel from Chungmuro Station to Ewha Womans University Station without a car? The best way to get from Chungmuro Station to Ewha Womans University Station without a car is to subway which takes 20m and costs ₩1,200 - ₩2,000. How long does it take to get from Chungmuro Station to Ewha Womans University Station? 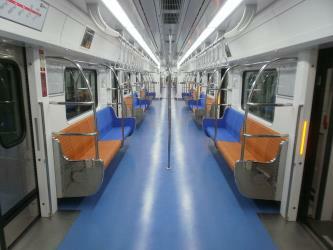 The subway from Euljiro 4-ga Station to Ehwa Womans Univ. Station takes 12m including transfers and departs every five minutes. Where can I stay near Ewha Womans University Station? There are 2082+ hotels available in Ewha Womans University Station. Prices start at ₩42,000 per night. 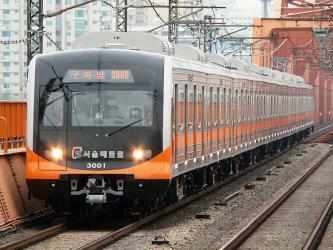 What companies run services between Chungmuro Station, South Korea and Ewha Womans University Station, South Korea? 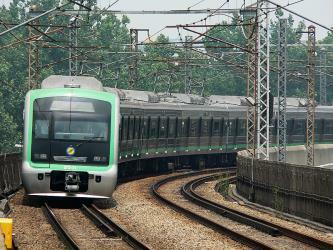 Seoul Metro operates a vehicle from Chungmuro Station to Ewha Womans University Station every 5 minutes. Tickets cost ₩1,200 - ₩2,000 and the journey takes 12m. Rome2rio's Travel Guide series provide vital information for the global traveller. Read our range of informative guides on popular transport routes and companies - including How to get from Luton Airport into central London, Travel Insider: Top Japan travel tips by Beatrix Holland and How to get from Stansted Airport into central London - to help you get the most out of your next trip. The city that never sleeps, the South Korean capital is a haven for the young and the young-at-heart. The sprawling Dongdaemun market area with its 20+ malls is a shopper’s delight, while a visit to Lotte World, the largest indoor theme park in the world, is a guarantee for all-around fun. Immerse yourself in royal history at the Gyeongbokgung Royal Palace, and check out the Gahoe Museum where over 1,500 traditional Korean art and craft pieces are on display. Night owls will revel in the all-night diners offering a jam-packed food-and-drink menu, from bibimbap to Korean BBQ to soju shots. Gyeongbokgung, also known as Gyeongbokgung Palace or Gyeongbok Palace, was the main royal palace of the Joseon dynasty. Built in 1395, it is located in northern Seoul, South Korea. The largest of the Five Grand Palaces built by the Joseon dynasty, Gyeongbokgung served as the home of Kings of the Joseon dynasty, the Kings' households, as well as the government of Joseon. Ewha Womans University is a private women's university in Seoul, South Korea founded in 1886 by the American Methodist Episcopal Church. It is currently the world's largest female educational institute and is one of the most prestigious universities in South Korea. The National Museum of Korea is the flagship museum of Korean history and art in South Korea and is the cultural organization that represents Korea. Since its establishment in 1945, the museum has been committed to various studies and research activities in the fields of archaeology, history, and art, continuously developing a variety of exhibitions and education programs. War Memorial of Korea is located in Yongsan-dong, Yongsan-gu, Seoul, South Korea. It opened in 1994 on the former site of the army headquarters to exhibit and memorialize the military history of Korea. The building was built for the purpose of preventing war through lessons in wretched Korean war and for peaceful reunification (Republic of Korea and the Democratic People's Republic of Korea). The memorial building has six indoor exhibition rooms and an outdoor exhibition centre displaying war memorabilia and military equipment. 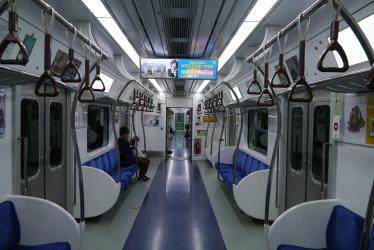 Rome2rio makes travelling from Chungmuro Station to Ewha Womans University Station easy. Rome2rio is a door-to-door travel information and booking engine, helping you get to and from any location in the world. 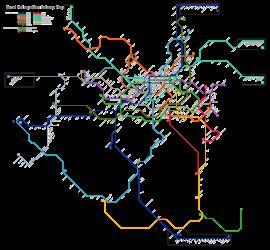 Find all the transport options for your trip from Chungmuro Station to Ewha Womans University Station right here. Rome2rio displays up to date schedules, route maps, journey times and estimated fares from relevant transport operators, ensuring you can make an informed decision about which option will suit you best. Rome2rio also offers online bookings for selected operators, making reservations easy and straightforward.